I was quite bleary eyed for the first twenty minutes or so, but after several cups of tea, I was lucid. 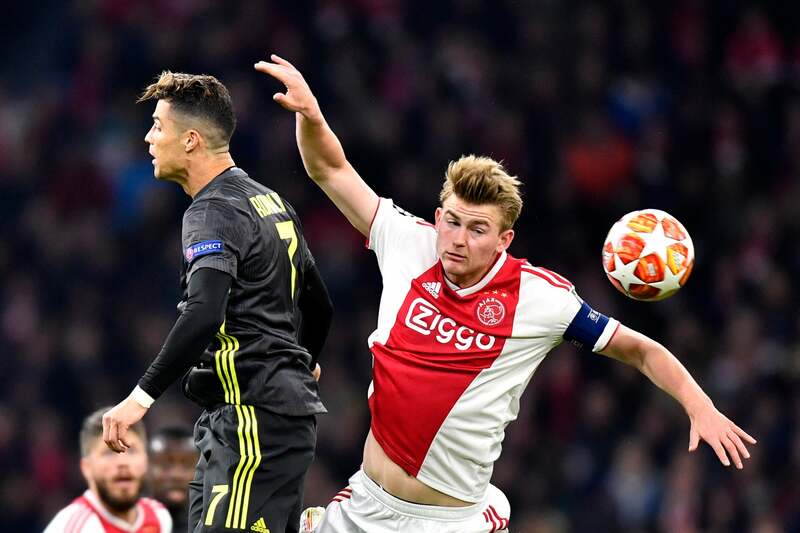 And unsurprised to find the pattern of the game had become one of steady Ajax exuberance, a vociferous crowd with Juve cut and thrust attempts leading to mere flashes in the pan. Though a few chances were made for Juve to almost match the chances created by the home side. Neither outfit able to grab the lead. Whilst Ajax were clearly on top, we were not as poor as we have been. Just average, and pretty much holding our own. 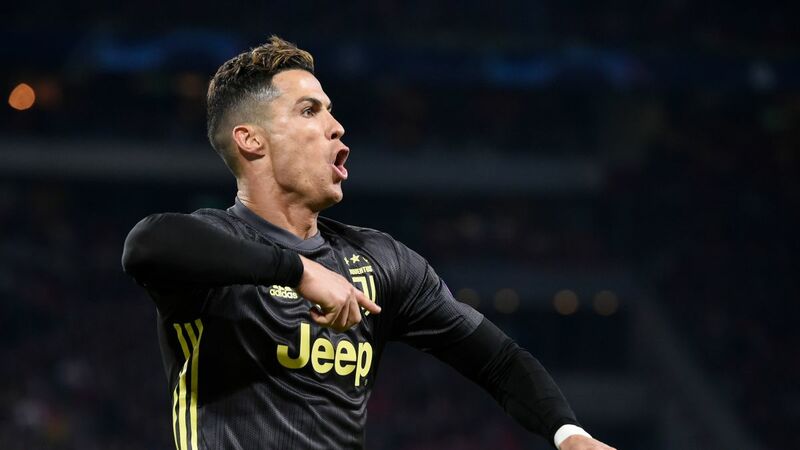 The goal came as a surprise of sorts, but not the scorer and it was a lovely flowing move which led to the Ronaldo header. What followed direct from kick off for the second period was hideous, yet the red and white jerseys deserved their equaliser on the balance of play and it of course added renewed wind to their sails. We were able to generally weather the storm, though at times we were stuck in our own half, absorbing wave after wave of attacking endeavour, and simply kicking the ball back to Ajax near the half way line, with nobody up top, or at least not enough movement up the field when we did regain the ball to offer any meaningful outlet. This has been a problem for a while. And it is certainly how Max sets the team up. I was bemused to see Little Doug enter the fray. The tie well balanced and surely they would tire, so I understood the move. Costa is super quick and can move past players at incredible pace, yet his final product is so often lacking. As it proved, for whilst a splendid run did meet the post with his final shot, several other great moves forward ended with a pass to the keeper well away from any player in black and white. Why I was bemused was because on the bench we had our most in form player, our most in form clinical 18 yard box lightning fast beast of a youngster. Who didn’t get a sniff in this tie. Such is Max’s way. The final result was fine for us, and possibly a fair one. For whilst Ajax showed hugely more attacking verve and fluidity and belief and cohesion, they do not have the quality individually that we possess. This was the home side playing I assume somewhere near their best, and yes, on another evening they may have scored more. Yet so could we. A quick word on the ref, who was amusing and also welcome in his reluctance to call fouls let alone offer cards. 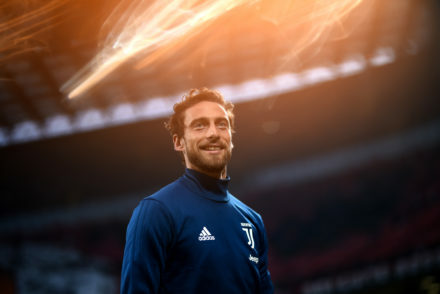 He let the game flow, waved play on when Bernardeschi was mauled a few times (and others) and kept good order throughout. A throw back to yesteryear and we could do with more of his ilk in the elite competition. The take away for me is that we were not awfully outplayed by a very entertaining, confident and well oragnised team who thoroughly dismantled Real on their home turf. 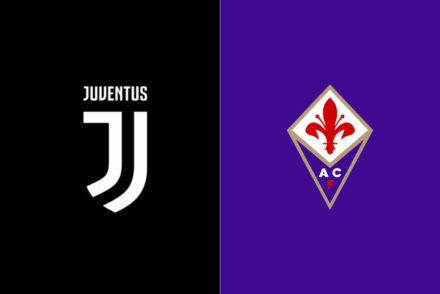 We will possibly have Chiellini back for the second round, a fitter, sharper Ronaldo and Costa, Kean will feature and our home record is strong. We also have the all important away goal. Though I refuse to believe that Max will approach the 2nd leg cagey. There were a few negatives. 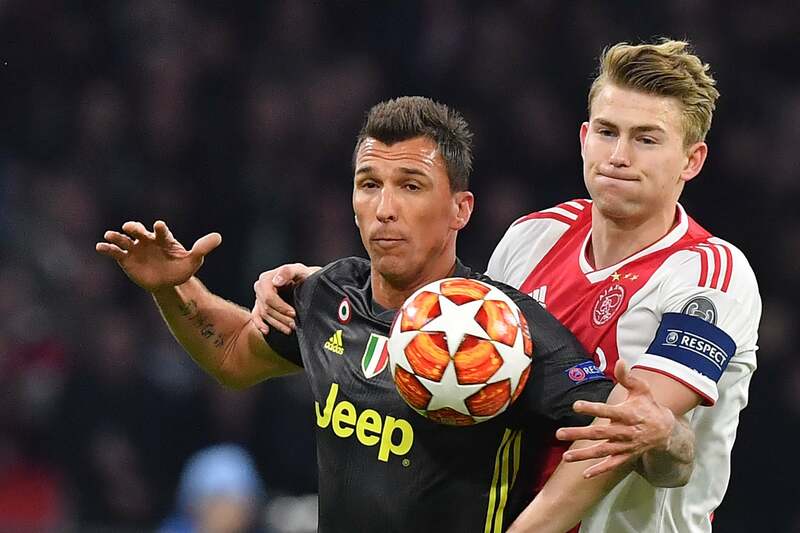 One of which was the performance of Mandzukic, who toiled and achieved very little indeed. Pjanic was also out of sorts, though pressed deep with the as always porous midfield around him and vulnerable back line to assist; the Bosnian rarely got into useful positions up top where he can damage any foe. We saw the best of Sandro we have seen for a fair while in Amsterdam. Which is not to suggest that he was especially impressive; he simply seemed more competent and driven. It has been sad and close to puzzling to have witnessed his steady drop off in form the last two seasons. Something physical? emotional? mental? Has his head been turned but the club outpriced him from the market or made the unprecedented move of ignoring a player’s will to leave the club? It has been difficult to explain, and yet apparent to more than just my own wily eyes how the Sandro of 2017-19 looks like the Sandro of 2015-17, but doesn’t play like him. If he can manage to maintain this upturn in spirit and stamina, his technique will soon lift his form and he could prove a wonderful addition to the cause if we push deeper into the competition. Rugani was also one who deserves praise for he stuck to his task, as did Bonucci, and they were solid together at the back – though as Max mentioned after the game, he does need to work on his passing out from the back. Often looking scared and seeking the safest route backwards or laterally. 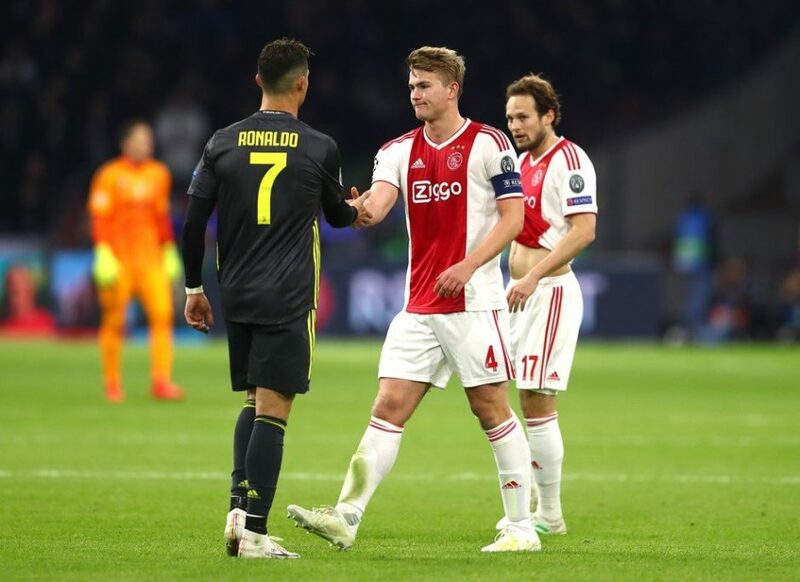 The other most impressive player on the field, alongside Bentancur, was De Ligt. I have read and heard much about him, and now I understand why. He is class. Not the greatest with the ball at his feet but as a defender, his reading of the game, tackling, calmness, composure and muscle is immense. Very rare to see this kind of talent in an 19 year old. And whilst Barca seem favourites for his signature, where are they getting all their money from and why do the FFP never raise an eyebrow at the significant spending and astronomical wage bill? Which I read was around EU500m…Perhaps we do have a chance after-all. The central defence is now as much of a concern to me as the central midfield. This represents the spine of the team. Of any team. I am no major detractor of Bonucci. I have long become bored of virtual jousting with those quick to condemn and always hold the line of deferring to the players at the club who actually know him deeply, such as Chiellini. There are others there who hold him in familial embrace. And if its enough for those closest to him at the club, its enough for me. However, he is not well suited to a back four. He has never been a last man stopper supreme such as King Giorgio. Leo is always at his best in a back three. Which is not how we play or seem to be looking to play. Still, he is well above Rugani, Barzagli and Caceres. I just hope we sign at least 2 in the Summer. Ideally a youngster proven at a decent level and also an established warrior in the role. Romero looks like a wonderful thug. Very raw. Probably too raw for Juve (presently), but we very much need to improve in this department. As I am still yet to be convinced by Rugani. As for Barzagli and Caceres they are both surely to leave before next season. We were not as bad as we have been for much of the season last night. We earned a creditable draw, got the away goal and could have won as easily as the opponents. It is doubtful – though possible – that we will be as average at home. It is likely we will be stronger, and if we play on the front foot, we find ourselves in a promising position to progress. It is now too late in the season to expect any major changes to form or tactical development. I place my faith and belief in the last home performance in Europe, as a barometer of how well we can play. And if Max is able to draw any of that stunning, fierce drive and zeal which was abundant when we demolished Atletico, it remains reasonable to assume we could still go far in the competition. Nothing is certain, anything is possible.